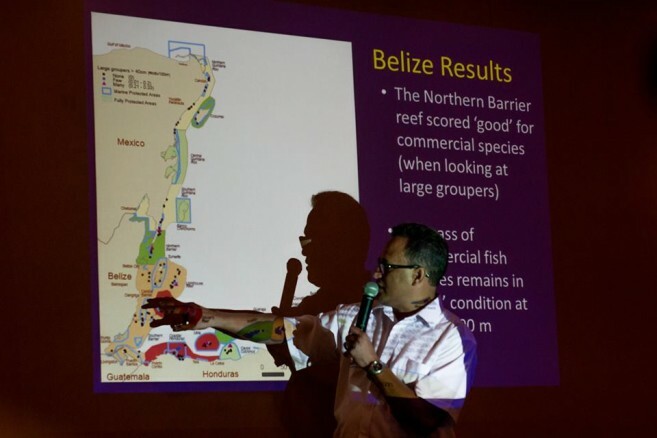 The state of Belize’s Barrier Reef is “Poor”; according to the annual Reef Health Index presented by Healthy Reefs for Healthy People Initiative (HRI) at the Belize Biltmore Plaza Hotel on Tuesday, May 12. 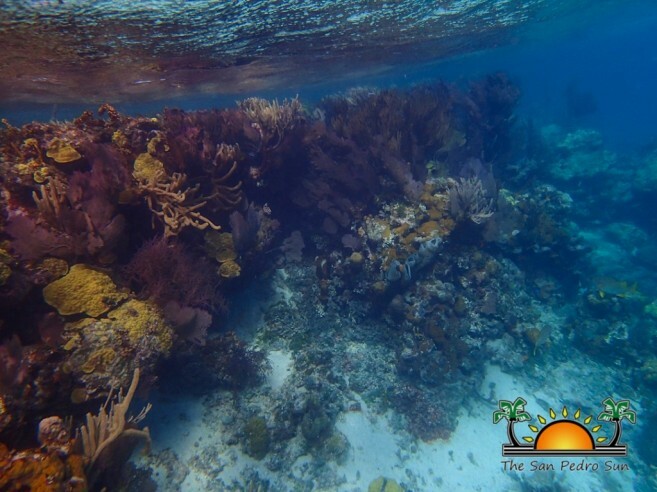 The Reef Health Index for the entire Meso-American Reef, from Mexico, Belize, through Guatemalan and Honduran waters, is “Fair”. Roberto Pott of the Healthy Reefs Initiative delivered the good news that at least nothing has declined in health from last year; and in some marine protected areas, such as Hol Chan Marine Reserve and Laughing Bird Caye National Park off of Placencia, the scores were good for the populations of both herbivorous fish and commercial species. The Northern Barrier Reef also scored “Good” for its population of commercial species, such as large grouper. Healthy Reefs Initiative has been publishing its annual Report Card on the health of the reef for the past 10 years, measuring four parameters: coral cover, the percentage of areas covered by fleshy macro-algae, the population of herbivorous fish – like parrotfish and surgeonfish, and the population of commercial species – snapper and grouper. 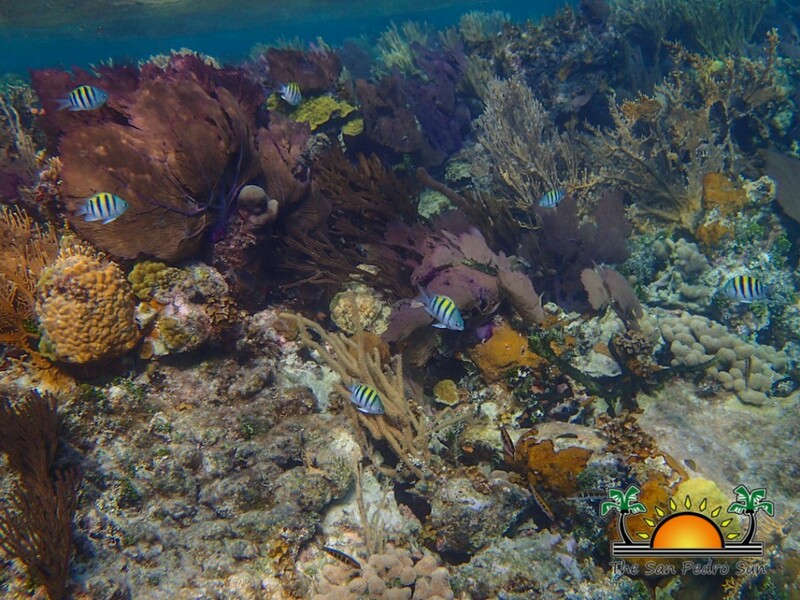 When HRI first began publishing its Reef Health Index in 2006, Belize’s fleshy macro-algae cover was 13%; today 10 years later, it has increased to 24% - the highest in the region. This is bad for the minute coral polyps that build the living reef, the algae chokes off the coral polyps’ access to food. Macro-algae grow when there is an abundance of nutrients in the water: fertilizer and other organic materials from farms, which rain run-off washes into the rivers and out to sea. 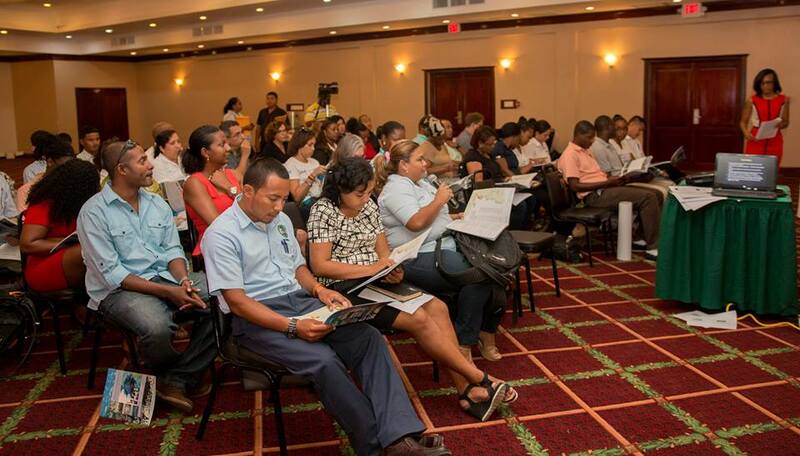 There is also the effluent from sewage treatment plants for Belize City and San Pedro; these do not meet the Effluent Standards. Protecting the reef means monitoring and restricting the escape of these nutrients into the sea. Herbivorous fish such as the parrotfish eat the macro-algae, so a healthy population of parrotfish is a good sign for reef health. The population is assessed by weight in grams, per 100 square meters; where less than 960 grams is critical, 960-1919 grams is poor, 1920 – 2879 grams is fair and 2880 to 3479 grams is good. On this indicator, Belize scored “Fair” - the parrotfish population has increased; as a result of legislation passed in 2009 to protect herbivorous fish; that indicators is 2,605 grams per 100 square meters. 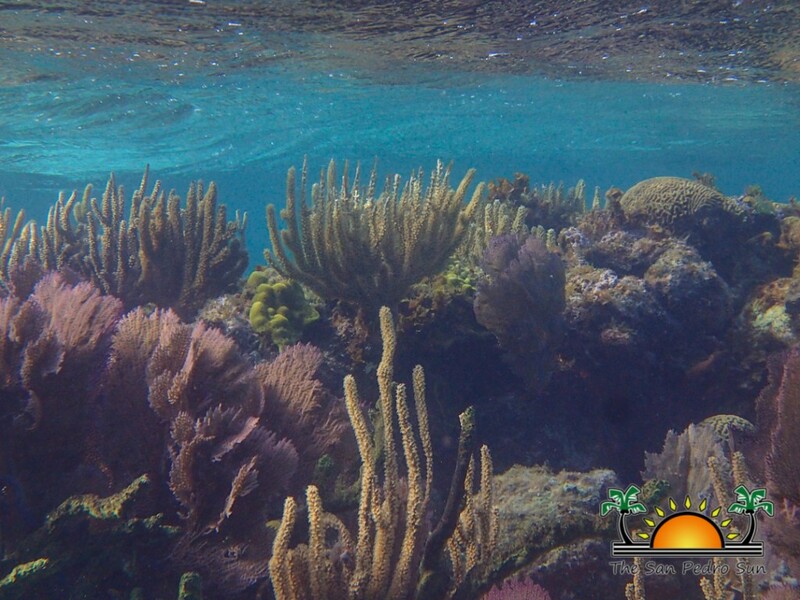 Belize’s coral cover has also increased, from 10% in 2006 to 16% in 2009, peaking at 17% in 2011; it fell back to 15% by last year. For this indicator 5% or less is considered critical, 5 – 9.9 % is considered Poor and 10 to 19% is considered: Fair, while 20 -39.9% is Good and over 40% is Very Good. Commercial fish species have also fluctuated up and down over the past 10 years; overall showing a slight increase to 1,023 grams per 100 square meters since 2006. This is only rated Fair to middling; where an index of 1260-1679 grams would be Good and over 1,680 grams per 100 square meters would be Very Good. Open access fishing and illegal exploitation in some areas are not giving the fish population a chance to recover. While Belize has several marine protected areas, only 3% is under full protection; a “No take” zone where no fishing is allowed. 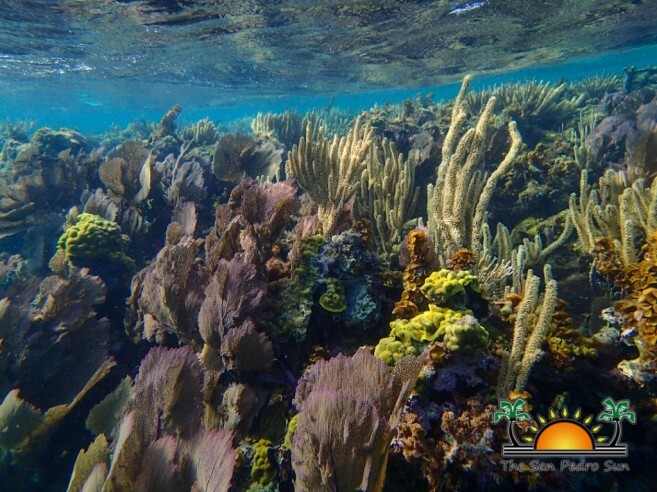 The richness of fish populations within these zones show that more are needed, to allow the stocks of species like grouper, snapper, lobster and conch to replenish. The Report card issued seven recommendations, presented by Jennifer K. Chapman of Blue Ventures, a conservation NGO which brought in volunteers who helped gather the reef survey data. It was recommended that all four countries increase the areas under full protection by 5% by next year, with a long term target of 20% under full protection, hopefully by the year 2020. Belize has experimented with managed access to fishing in some areas, with considerable success, and this seems the way to go; all commercial fishing should be by managed access where the fishermen take ownership to protect the resource and the sustainability of the eco-system. Coastal Zone Management plans need to be evaluated and updated, with a view to manage the marine eco-system for sustainability. Public awareness of the issues needs to be increased at all levels, through the media, through education of the young as well as government leaders and policy makers. The information learned and gathered by scientific researchers needs to be shared with the managers of marine protected areas, fishermen and all public policy decision makers. The general public can also help, if they are educated on what species are OK to eat, for sustainable fisheries. A sustainable seafood guide needs to be promoted throughout the entire region by 2017. The global issue of Climate Change and its evil twin: ocean acidification, will not go away; it must be addressed by a conscious, coordinated and concerted effort to reduce carbon dioxide and other greenhouse gas emissions by 15% annually. This will only happen if the conservation NGOs partner with government and private sector businesses to work towards these targets, using 2015 as their base year. Since air travel produces carbon dioxide, all partners must pledge to buy carbon offsets for their air travel and comply. There is also the issue of offshore oil exploration: Oceana Belize, the Belize Coalition to protect our natural heritage and their partners won a Supreme Court ruling that declared offshore oil concessions as “null and void, and labeled the government’s decision to allow such exploration without first assessing the environmental impact, as “not only irresponsible, but reckless”; especially since Belize is not really capable of effectively handling an oil spill. The government has appealed this decision, and still has the ability to issue new oil concessions, even though the opponents have called for a complete ban on offshore oil exploration; as the only way to ensure the continued health of the reef.